I am an enameling jewelry artist, and over the years in this wonderful job I got tired of low quality kilns so I decided to have theses kilns built in the USA. Just check them out. They are fabulous! Enameling Supplies I use and sell, you can see here. http://croftkilns.com/accessories/ These are just a few thing to make it easy for you to find that are not available in one location. I have the enameling brushes, tuff break, kiln cloth, shelves for your kiln floor protection, and kiln cloth. Check it out. This is a great book that covers all forms of enameling to get you started. Goal is to build a strong pool of information, freely accessible, for the benefit of the jeweler’s trade and the general public. Non profit organization created by metalsmiths to aid and support other metalsmiths through meetings, publicity, workshops, and exhibitions. Thompson Enamels Supplier of lead free enamels, and all the tools you need to enamel. E-namels Over 350 “hard to find” vintage enamel colors! Specializing in Thompson Enamel lead based enamels. www.e-namels.com And Scott will help you find enamels you need! Enamel Art Supply is a new company taking over where Coral left off. 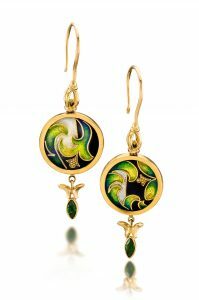 After 40 years bring us Japanese enamels Mack has opened her doors to importing enamels from Japan. And a new beautiful leaded enamel is available. I have tried quite a few and they are very clear! check out the color chart on my home page or here is a link to Hirosaws Enamels www.enamelartsupply.com Now suppling Ninomiya enamels also. Plating Services https://www.redskyplating.com These guys are great! Volcano Arts Great resource for brass and stainless steel nuts and bolts also mesh copper and textured copper sheets. Amazon is a supplier I have found recently to purchase kiln wire. I like the 17 ga best to shape into jigs to hold or prop my enamel jewels while firing. It is called High Temp Wire Very helpful to support your unusual shapes and sizes of your enamel jewels. Heat Stop supplied by Gesswein www.gesswein.com this awesome clay I love to use as a support to solder small parts. You heat it with the small parts in place and it turns hard. Light Up Your Watercolors by Linda Stevens Moyer Great Book to learn more about color. The travel kit of colors have 10 – 12 colors, all you need to start designing your enameled project. A block of watercolor paper is just that. The stack of paper’s edges are glued together, because when it gets wet in normal conditions of painting with water the paper would warp , and it prevents that. Hot press is more likely to warp but it is a smoother paper than cold pressed. Great for small painting of detail. And I find a #3 sable brush is a good size to get the job done without spending on several brushes. Another wonderful book I came across this year is Arleta Peach’s Radiant Oils. Her demos are great for an enamelist. “Colored Pencil Fast Techniques” by Bet Borgeson. “Color Drawing Workshop” by Bet Borgeson. These last three were not written in our life time. But we sure have had plenty. 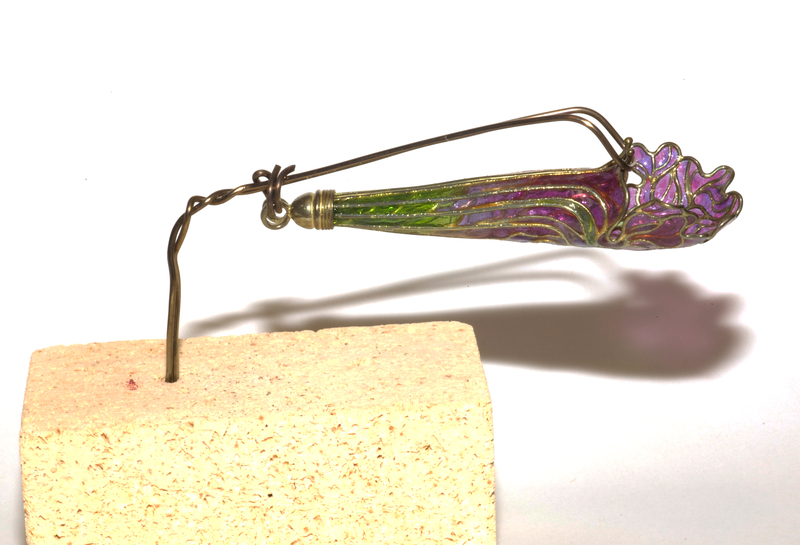 These are interesting to me as you get a chance to hear how our Masters worked with enamels. The Treaties of Benvenuto Cellini On Goldsmithing and Sculpture Great read! A little slow as it is in Old English but very interesting. Web Design, SEO, and PR consultation.